I’m going to share this article because, while it’s relevant to all women, it’s also relevant to models, because it’s getting harder and harder to list an actual, accurate dress size because of stuff like this (especially if you don’t have access to designer size charts, and/or don’t work with designer garments). And all you hobbyist models who quite often purchase their own wardrobe for shoots (or deal with photographers saying “I’ll just buy what I need for you, what size are you?”), certainly you share my frustration with shopping and finding the right fit. Especially when on a tight budget and/or looking to buy in a short time frame. 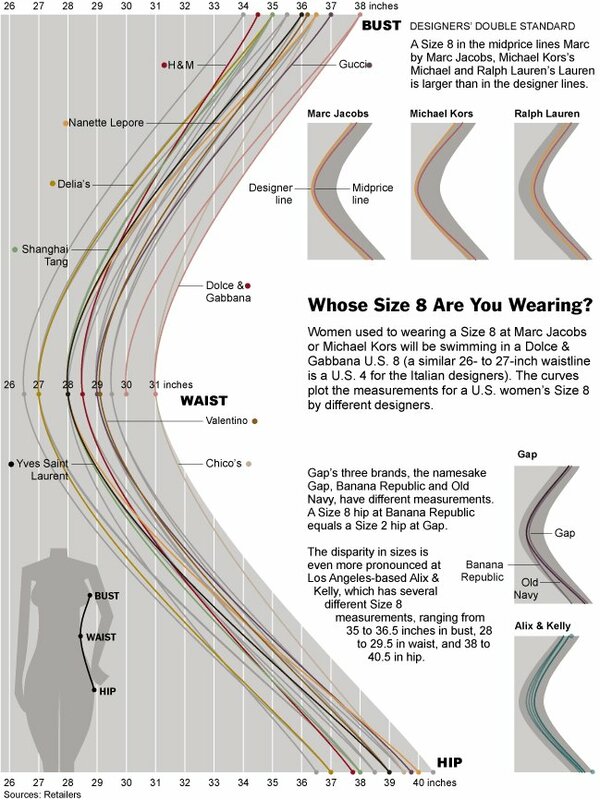 It seems, though, that some people are getting so sick of vanity sizing, they’re working to figure stuff out, starting by tracking measurements of sized garments across many different stores and brands (and even within brands and designers). Some malls/stores even have full body scanners (don’t worry, it doesn’t sound like they’re run by the TSA, haha) to help women find the right size (or at least limit the amount of guesswork that needs to be done).